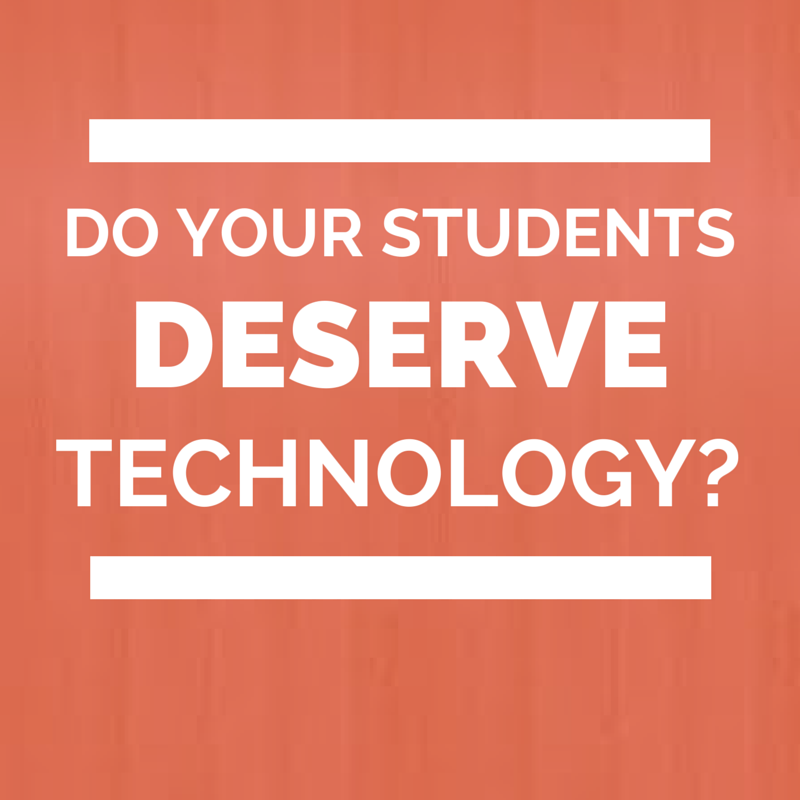 evangelizing the (digital) natives : Do Your Students DESERVE Technology? "Well, its they fault for having iPads..."
"The school should have known they'd be stolen - this is the hood." I'm not oblivious to my own white privilege, and my school is definitely not Pleasantville High, but to describe our setting as "the hood" is laughable at best and disrespectful to the students in cities who have to go to schools across the country where their safety IS obviously in question. But... maybe my school is more authentically ghetto than I thought. In a real, Webster's Dictionary kind of way, many of my students are at least CULTURALLY isolated and trapped. When I announced their class would be going back to worksheets, there were some kids who started making contingency plans to finish their project work after school or on their cellphones, but no one really expressed the same outrage at the injustice I was about to enact on this class as I was feeling myself. I wonder how aware they are of the creative, cool, relevant projects kids with more access to technology are doing every day in other schools? Some of my students may have even been relieved - completing a worksheet requires much less of them than a student-paced, open-ended statistics project like we've been doing. Worksheets eventually go away because the teacher moves on to the next teacher-centered, teacher-directed activity. The sheeple can follow along. When relevance is a CLASSROOM-SPECIFIC focus, it sends the message organizationally that its only something that happens in so-and-so's class. Something THAT TEACHER is doing extra. (I had a kid tell me today after he told me he couldn't enter his answers into a Google Form that he was going to just go to credit recovery so he could get a math class that doesn't use technology. His teacher last semester that he failed with was heavy on flipping the class and using Study Island for some assessment.) When student-centered, relevance-seeking technology use is only in pockets, students can escape (and slip through the cracks). Students can blame THAT TEACHER on bad experiences. When relevance is a school-level or district-level emphasis, it starts to shift the CULTURE, which can then change the students' mindsets. So what did do the next day? I kept the iPads locked up for that class for several more days after the fact, but they're back out now. I don't want to manage two different lesson plans for the same course, nor do can I bear intentionally making the decision to leave the iPads in the cart. I believe the only thing to fight my students' ignorance is with knowledge and exposure, and the only way to ever know and expect better is to see and experience better.